The Somali capital has been rocked by two explosions in quick succession, just two weeks after huge bomb killed more than 350 people. The first explosion was reportedly caused by a car bomb being driven into a hotel, while the second blast took place shortly afterwards, near the former parliament house. Major Abdullahi Aden told Reuters news agency that militants had stormed the hotel after the blast. However, the city’s Aamin Ambulance said it had already ferried 15 wounded, adding there were “many dead bodies”. According to Major Aden, a car was driven up to the gates of the Hotel Nasa Hablod Two before exploding, causing a blast which was heard across the city. The second explosion is understood to have taken place about half-an-hour later, reportedly near security forces. Mogadishu is still coming to terms with the bombing two weeks ago, which left at least 358 dead, and another 56 still missing. 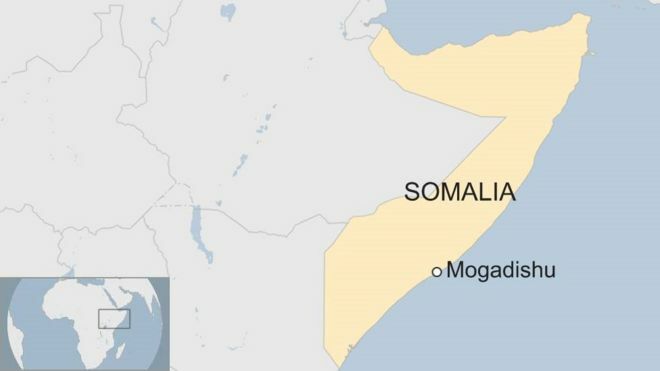 No-one has yet claimed responsibility for the 14 October attack, which the government says was carried out by the Islamist al-Shabab group. The al-Qaeda-linked group has denied it was behind the bombing.